Askern UK Ltd is one of Europe's leading manufacturers of Cable Reels and Drums, supplying to some of the largest producers in the global cable, extrusion, wire and rope industries. We supply drums and reels made from plywood and softwood. In addition to supplying a standard product range, our experienced innovative team makes us the ideal partner to provide customers with bespoke solutions. We specialise in advising customers on which products would be suitable for their individual requirements. Askern UK Ltd takes pride in establishing long term relationships with our customers through regular communication, which allows us to absorb feedback and fulfil their requirements. Our long serving personnel have the technical expertise to offer customers advice on specifications, cost savings and ancillary products. Askern UK Ltd operates an internal quality management system, where raw materials, manufacturing processes and products are constantly monitored to ensure high standards of quality are maintained. Askern UK Ltd ensures that all our business activities and production processes are consistent with environmental policies. This is implemented throughout the company with employees contributing to its preservation. Internally, all waste products resulting from our production processes are recycled, thereby reducing the carbon footprint of the company. Askern UK Ltd is one of the largest manufacturers of cable reels and drums in Europe. 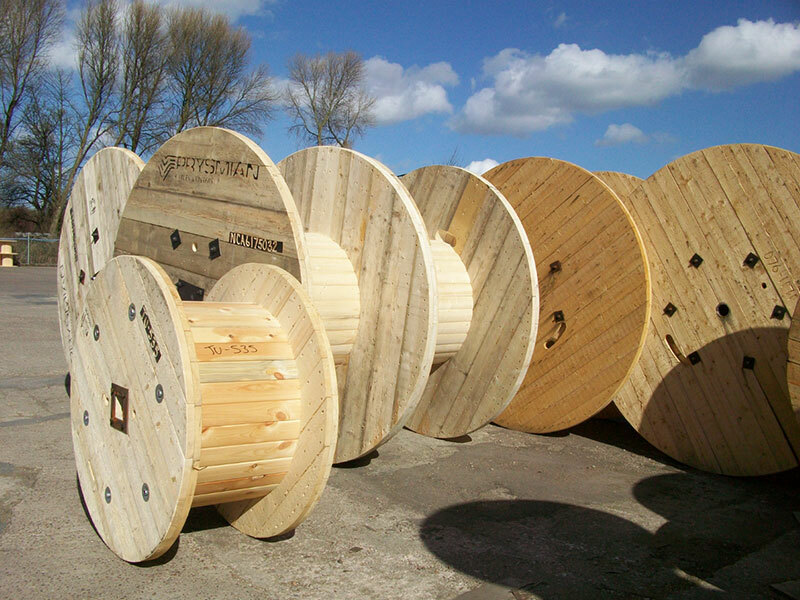 We manufacture plywood reels and softwood cable drums despatching from 4 different sites in the UK. Our main factory is situated at Langthwaite Business Park, South Kirkby, between Doncaster and Wakefield. We manufacture both plywood reels and softwood drums at this site and despatch all over the UK and Europe. This site serves as an assembly and distribution outlet to customers in the Scottish Borders region. This site manufactures softwood drums and provides a drum maintenance service to customers in the North East of England. This site serves as an assembly and distribution outlet to customers throughout Scotland.